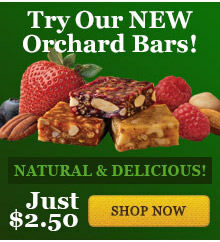 ALLERGEN INFORMATION: Contains peanuts, almonds, walnuts, macadamias, cashews, Brazil nuts, and soy. May contain traces of tree nuts not listed in the ingredients. These were given to me as a gift a while back and now I never go without. A wonderful little snack to pack with my lunch. All the flavors are delicious! Great for traveling...easily toteable and/or packable. Hold up well and just the right amount of a snack bite! 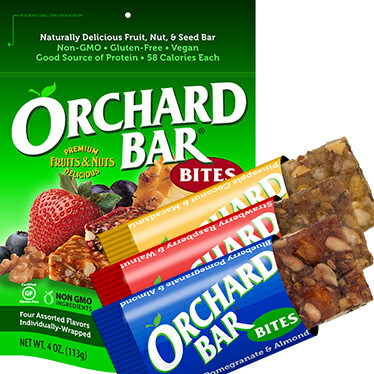 I love the new Orchard Bar Bites. They are the perfect size for a mid-afternoon break treat.